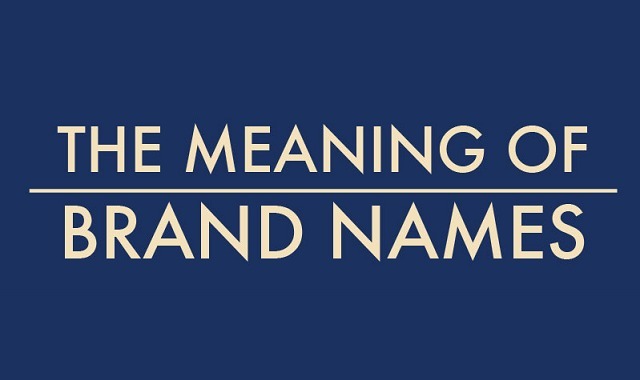 The Meaning of Brand Names #infographic ~ Visualistan '+g+"
Creating a strong brand identity is an integral aspect of any consumer business, and a large part of any brand identity lies in its name. While many brands are simply named after their founders, others have more interesting origins. Some brand names take inspiration from ancient mythology, some are completely made-up, and some arrive in the world out of pure luck. We’ve taken a look at some of the most recognizable brands from around the world to find out just how and why they got their names – we’re sure that a fair few will surprise you!